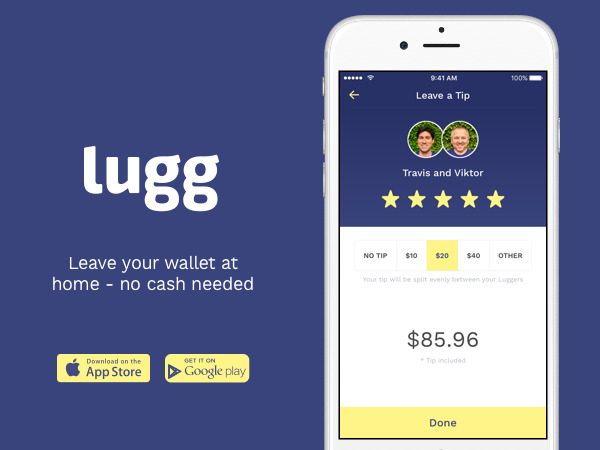 Use Lugg to move, haul, and deliver anything, whenever you need it! 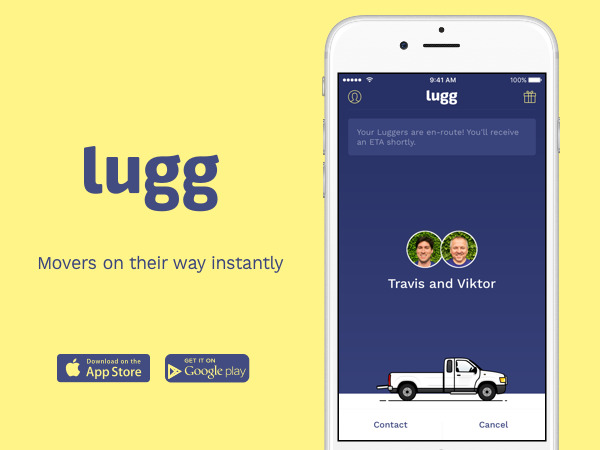 Download the Lugg app and with a few taps, a truck and movers are headed your way in minutes. Established in 2014. 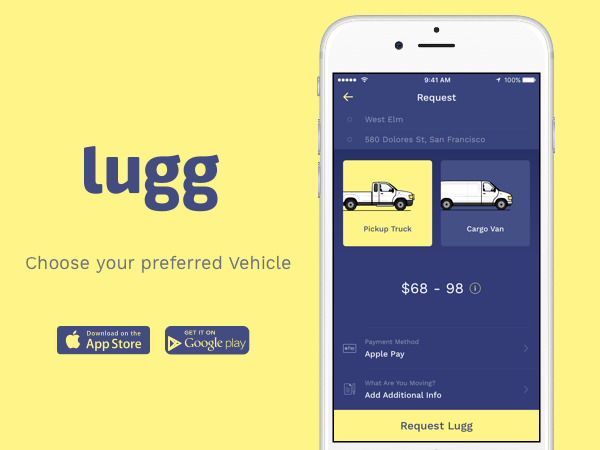 Lugg began as an on-demand moving service in San Francisco and has expanded to Los Angeles. 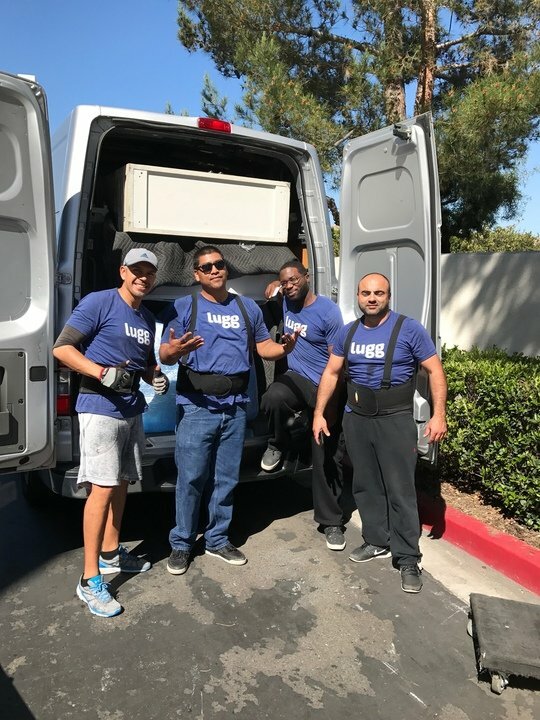 Our service has been used to do everything from full apartment moves, to retail deliveries, in home moving and labor help, dump runs and everything in between. We bought a couch and two chairs at Macy's in Brea, the Macy's employee told us about lugg, we decided to sign up right there and requested a delivery, within an hour Taylor and Morgan had arrived at the store to pick up our goods, they deliver them to our house 30 minutes later and put them inside the living room, took off all of the plastic, took it away, and made the whole process very easy. 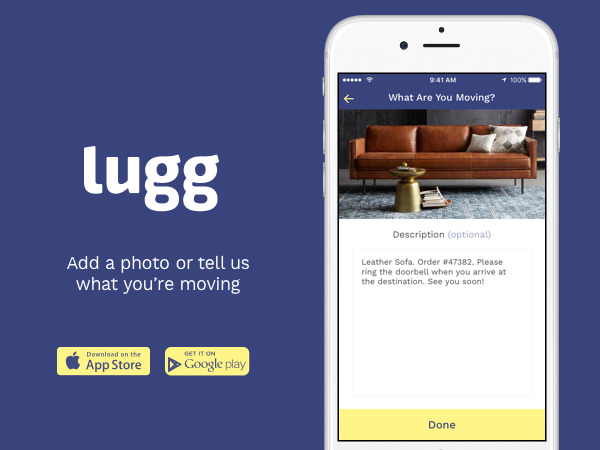 They were fast friendly and efficient, this is Uber for furniture delivery, and it is a fantastic idea! The app is easy to use, and they do other things like garbage Holloway, craigslist sales deliveries, and other things. Really awesome company and great guys. This app was a total miracle worker for me! A friend of mine in the bay area used it and recommended it to me. I used this to move the contents of my one bedroom apartment in Pasadena to a moving/storage pod on the street. I had Joseph and Bobby and they were just the best. They worked in the 90+ degree heat carting my stuff around and arranging it in the pod. They were professional, worked quickly, and were ridiculously polite. They moved everything in 3 hours, and the total (not including tip) was about $300 - this includes transportation costs to my apartment and they brought all their own equipment and even wrapped something for me.I will say the estimate in the app was not at all accurate, there is no option for moving something from your house to the street and the estimate they give doesn't say the length of time - so disregard that, but you can probably expect ~$100 an hour for the two guys. Like others say, no minimum with this app, so you can potentially save a lot, depending on what you need. It was easy to schedule within the app and they worked with me as I kept having to cancel and reschedule since my storage pod delivery was delayed. Would definitely recommend if you live in an area where they service you. I'm just so sad they don't have this in Seattle where I'm moving!If you're interested in using them, you can enter my referral code MISA2748 and you'll get $20 credit. I will, too, but you'll still save! This is the absolute worst moving ever. First they were late. Then they took 3 hours to figure out they can't do the job and required more men. Then when they got the ceramic pot to my house they dropped it and broke it, in my door way. Broke the door frame. The most horrendous part is they charged me a dollar a minute to clean it up!!!!!! They offered me a refund of 75 dollars(because this is what my aunt was thinking of selling them for before my mom told her not to! Because we paid way more for them!!) for a 525.00 planter plus plant plus the broken door. And will not provide me with their insurance. I gave them the receipts. Maybe they don't have it?! Liars!!!!!!! Wow this is probably the most convenient app to have during moving. I just moved from NY and running around picking up furniture is super stressful. I used them 3 times and had a great experience. We picked up a couch from Z Gallery outlet and they dropped it off at my house 1 hour later. I even had time to grab a bite. So far used it for a bed and an accent chair as well. Super easy to use and notifications are prompt. Don't stress, download the app and hire these guys to do all the heavy lifting.